Going into utter meltdown, she walks out of her London office, gets on a train, and ends up in the middle of nowhere. Asking for directions at a big, beautiful house, she's mistaken for an interviewee and finds herself being offered a job as housekeeper. Her employers have no idea they've hired a lawyer, and Samantha has no idea how to work the oven. She can't sew on a button, bake a potato, or get the #@%# ironing board to open. How she takes a deep breath and begins to cope, and finds love is a story as delicious as the bread she learns to bake. But will her old life ever catch up with her? And if it does...will she want it back? I thought that this would be fun to listen to at work. I was right! I really enjoyed this listen and couldn&#8217;t put it down! I even looked for an excuse to go to the grocery store without my husband so that I could continue to listening. It was light-hearted and funny which was exactly what I was looking for. I would definitely recommend this book to others looking for a something funny, with a cute story. Rosalyn Landor is a wow! 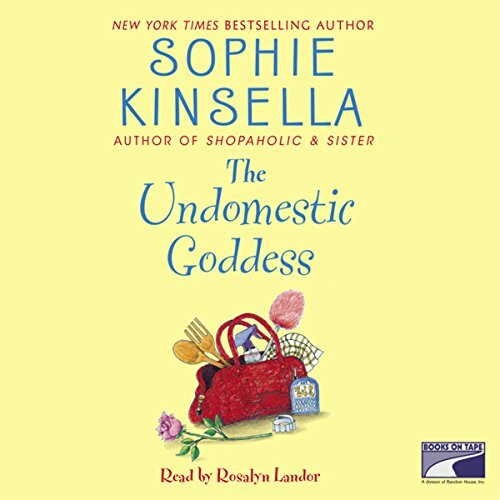 What did you love best about The Undomestic Goddess? 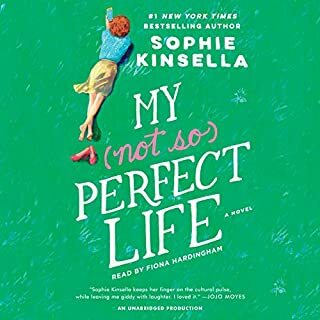 It was a fun book to read, and an even more enjoyable in the audio version because of the talented interpretation of the characters by Rosalyn Landor. 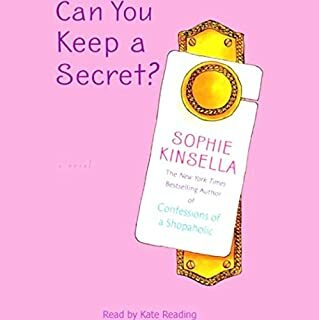 Sophie Kinsella is one of the few writers out there that appeals to several generations. My daughter, mother, and I have all read and enjoyed this engaging, witty author. I listened to this selection right after "Devil Wears Prada" and wondered why this book did not get selected to have a movie made from the story. This story describes what could be very possible with career-driven young women today. No life and a feeling that their career is worth having no life. From there, she finds herself having to not only fend for herself, but those of her employers ...as a cook and housekeeper! How hilarious! The contrasts are extreme and there is little reality to how this could happen. But who cares. The characters are rich and warm. I want to meet them in real life. This is definitely light reading, but so needed every once in awhile. This story brings you back to recognize what is important in life. Listening to this book will be such a treat ...you shouldn't miss it! 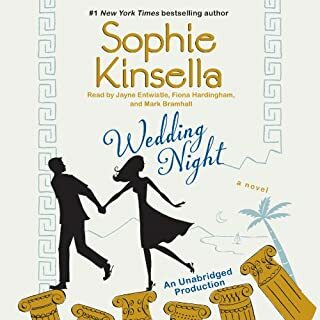 I absolutely adore Sophie Kinsella. The story was not at all believable, but oh so much FUN and really different! It was purely silly and zany, and it made me so uncomfortable all at the same time. I thought the narrator was a little "off" with some of the male characters' voices, but I got used to it. I could really relate with this character and to step away from the rat race is something that makes me long for at times. I not only really liked this book but could imagine myself in her shoes. This book was wonderfully written and well narrated. Other reviewers are correct in that it's probably better on audiobook because you get the English accent. 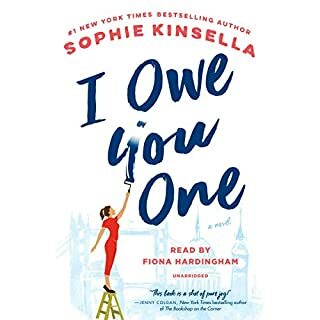 I love Sophie Kinsella audio books.. They MUST be audio because part of the fun effect is having the book narrated by a Brit... I have listened to almost ALL of her books and experienced great enjoyment!!! I had truckers on the freeway honk their air horns at me because they could see I was alone in my vehicle but hysterically laughing! I'm sure they were quite curious as to my behavior. I loved this book. 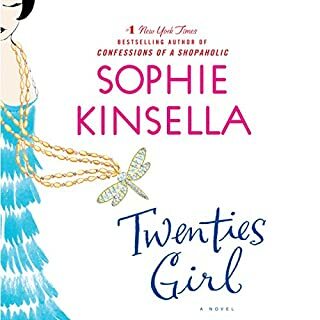 It was my favorite of all of Sophie Kinsella's books. This was a delightful "read". The story of a stressed-out lawyer, stripped of her job and accidentally ending up in the unlikely position of a housekeeper for a nouveau riche couple at a country estate, was very entertaining. I was sorry when it ended. The narrator was superb. It was a great yarn for all who fantasize about a simpler life. I was worried it would be boring, but it was SO heartwarming, sweet, and hilarious. Extremely creative plot lines and twists. Very talented writer, and the reader made it so entertaining with different voices. 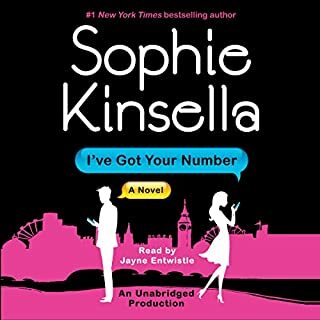 I?ve listened to all of Sophie Kinsella?s books and found them to be funny and easy to listen to. This latest book did not disappoint me although I thought the story line was a bit far fetched, but it was entertaining all the same. If you liked her other books, you?ll like this one, too.